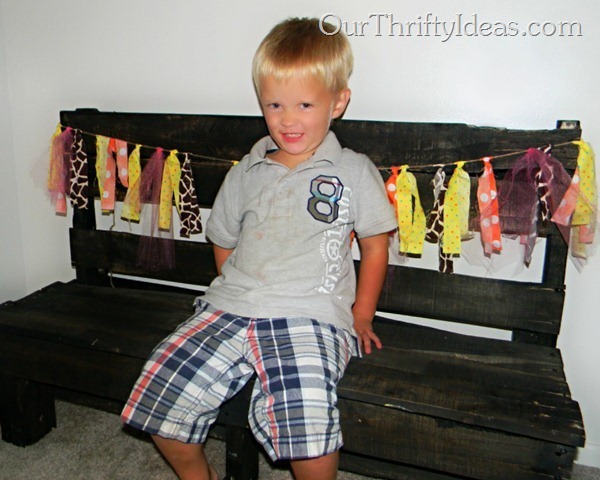 I know you have noticed the crazy cute pallet projects that are all over Pinterest. 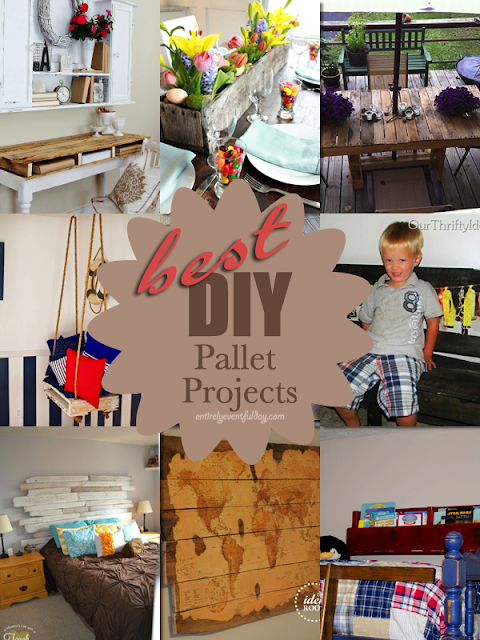 I thought it would be fun to compile what I think are the best DIY Pallet Projects out there. 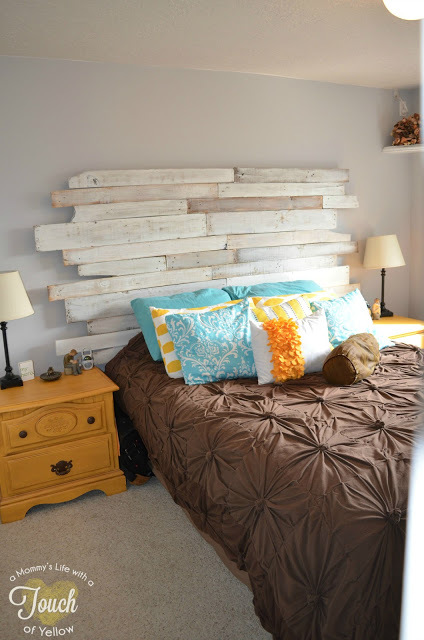 One day I will incorporate a pallet project into my own home decor. Enjoy! Hello! 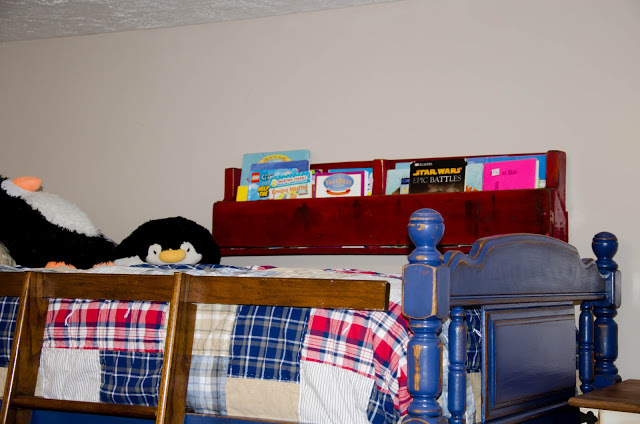 Do you love this headboard like I love this headboard? Not to mention the wall color and bedding. She actually made this Anthropologie knock-off bedding. I'm impressed. 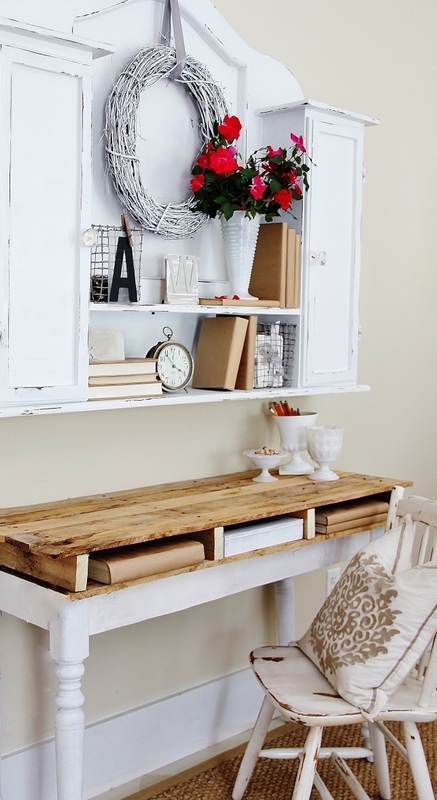 Rustic and pretty! Yes, please. I just love the bright Spring flowers in the old gray pallets, such a pretty contrast. 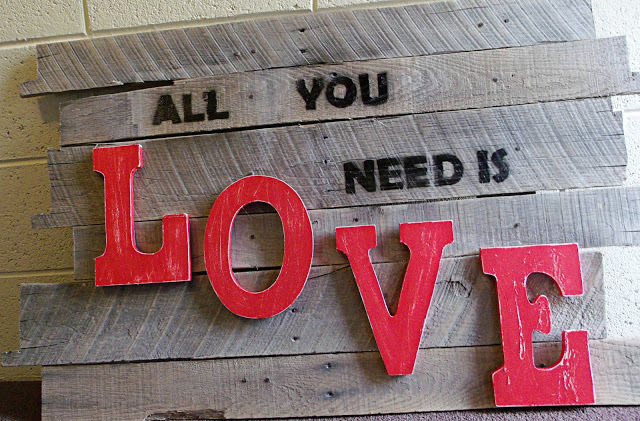 You don't have to create a whole new piece of furniture with your pallet... Love. This table was apparently for sale on ETSY for $200 at some point. I searched for it and couldn't find it. Isn't it awesome? I would love to have this in my backyard... maybe someday I will! Could you just eat this alive? 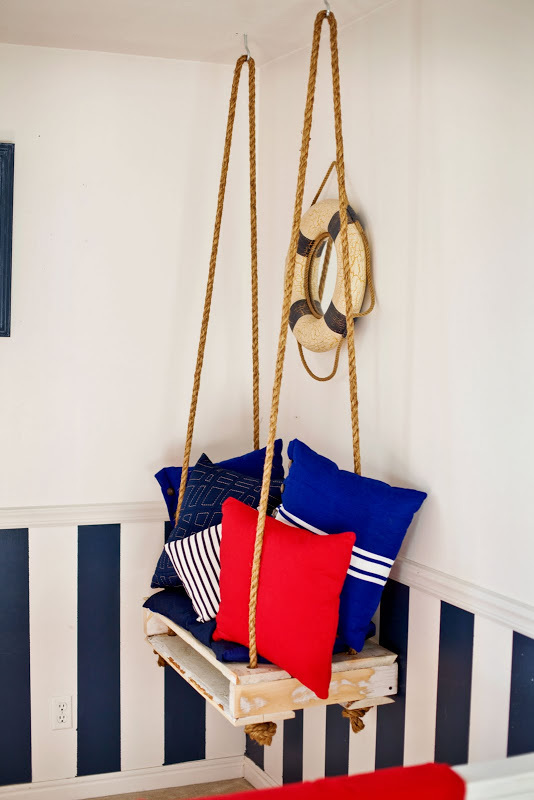 Go check it out, on her blog she has a pic of her little boy reading a book on this seat... too cute! 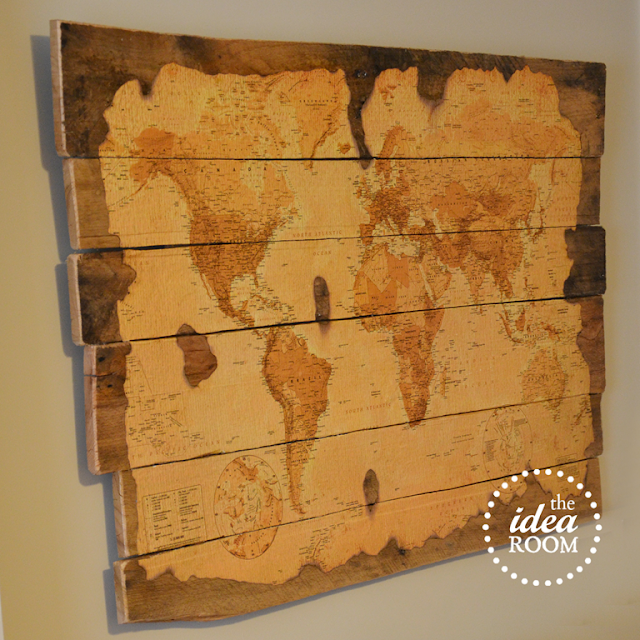 My cute friend Amy created this map pallet. I am swooning! I think I might just have to copy. It's the perfect thing for a boy's room! What? My kids never get sent to time out. Let's just skip this one shall we? Or not! Vanessa did such an adorable job on this! I love how she added the garland... time out just got more fun, I mean it's a worse punishment... oh, I don't know! Check out this book shelf. They made two, one for each bunk bed. It's cute. Love. I have always wanted a potting bench. I have come to the conclusion that the only way I am ever going to get one is if it's practically free. Let's face it, I can think of a gazillion other things to spend my money on. I think I'm staring at my solution! This is just the perfect thing for newlyweds. How fitting that it's from a blog called, Newly Weds on a Budget. I don't know about you, but color me inspired! 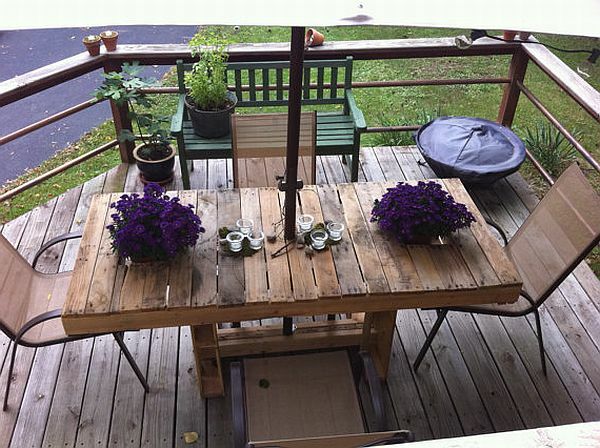 Do you have a pallet project? If so, leave your link in a comment so I can check it out!